Awesome! Mere weeks to go now…. Interesting that there was a proposed 2007 TV series called ‘Babylon Fields’, about the impact of a Zombie Apocalypse. Never got past the pilot. The AMC television network has greenlit a pilot adapted from Robert Kirkman’s The Walking Dead. The show – based on Image’s critically-acclaimed post-apocalyptic zombie series – will be directed and scripted by Frank Darabont (The Shawshank Redemption), reports Variety. Gale Anne Hurd of Valhalla Motion Pictures and David Alpert of Circle of Confusion will be executive producers alongside Darabont. “The Walking Dead’s road to the small screen has been a long one, but so far it’s looking like the best of all worlds,” Kirkman said. “Given AMC’s track record with shows like Mad Men and Breaking Bad, combined with Frank Darabont writing and directing, I couldn’t possibly be more excited for this to come together. S0….casting speculation??? How about Alice Cooper as the Governer? Or Danny Trejo? 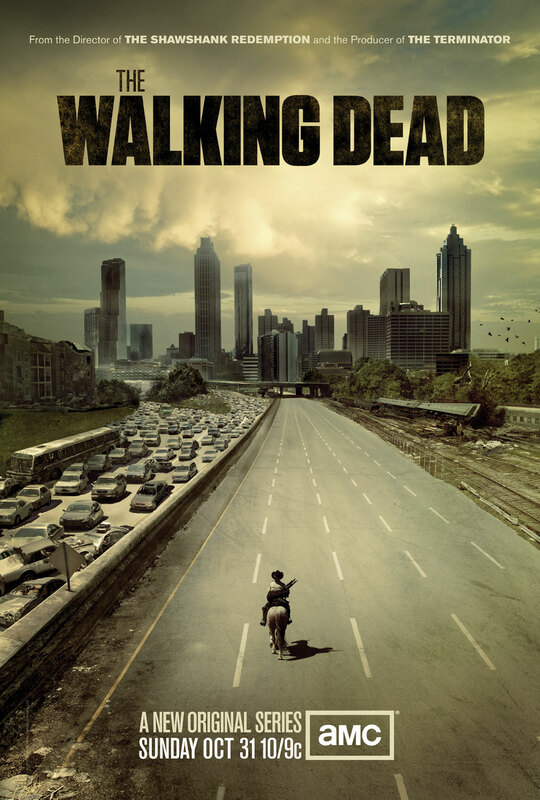 The Walking Dead, Frank Darabont and AMC – the promise of Quality. Amazingly, there is going to be an adaptation of The Walking Dead. Amazingly, because the names that are attached to it – Frank Darabont, AMC – are responsible for quality output. A film would not have worked, and so Television was the only viable option – the fact it has been picked up by AMC, who produce the mighty Mad Men, is terrific news. If I had heard HBO were taking it up, I would not be happier. and check out the discussion at the Kirkboard at Image – where some forum members are making some suggestions for the casting (and getting it spot on – I mean, Cutty Wise (Chad Coleman) from ‘The Wire‘ as Tyrese is brilliant (and he has Zombie form, having been working on Left 4 Dead 2), and even better – Danny Trejo as The Governor…..).